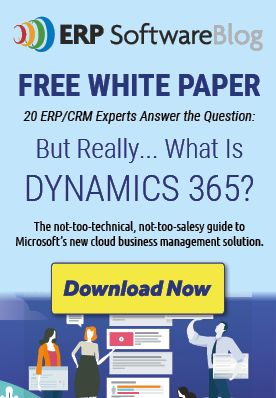 Is Microsoft Dynamics 365 Right for Your Business? Comments Off on Is Dynamics 365 Right for Your Business? Since Microsoft released Dynamics 365, many clients have asked if this new cloud-based ERP service is right for them. While Dynamics 365 offers attractive pricing, flexible licensing options, and rich functionality, it also represents a major shift in the way many companies think about software. Because it’s a modular, cloud-based service, Dynamics 365 can present a new approach to how you license and deploy software and how you manage your technology infrastructure. Understanding this new paradigm can help you decide if Dynamics 365 is right for you. For clients who want an end-to-end solution, in which ERP data is shared across the company, Dynamics 365 can be a perfect fit. 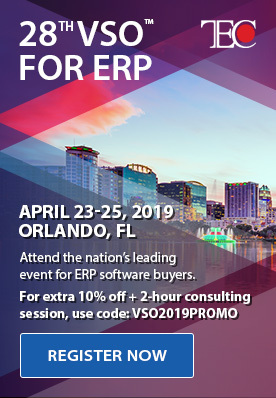 By bundling ERP and related services in a single offering, Microsoft has vastly simplified integration—particularly among ERP, CRM Online, and Office 365 (including Outlook). With Dynamics 365, information flows seamlessly between ERP, CRM, documents, and email. You can schedule meetings without leaving your ERP application. You can send and receive invoices or quotes directly from Outlook. You can update a document with current inventory or pricing information without leaving the document. You can access purchase history and credit information from within a customer contact. If you already rely on (or are planning to deploy) Microsoft CRM Online or Office 365, Dynamics 365 may be a natural addition to your suite of online services. Dynamics 365 can also be a great fit for clients who don’t need a fully integrated solution, but instead are seeking to automate specific processes or to use ERP in a limited capacity. Because Dynamics 365 uses a modular approach, you can choose only the components you want. For example, if you’re in the market for a stand-alone Sales, Field Service or Customer Service solution, you can license only those modules. You no longer need to deploy a complex, full-featured ERP system just to get access to one or two specific processes. Because it’s hosted in the cloud, Dynamics 365 can dramatically streamline your IT operations and reduce risk. If your existing IT department is already stretched thin, a cloud-based solution may offer some much-needed relief. Day-to-day maintenance, including software updates and patches, are all taken care of by Microsoft. Likewise, Microsoft monitors the availability and performance of your Dynamics 365 applications, keeping everything running smoothly and alerting you to any issues. The hosted model also makes it easy to scale your ERP and other services. As your database grows or your company expands, you can simply add storage and user licenses—without purchasing and installing hardware. You benefit from virtually unlimited scalability without building or staffing your own data center. With the modular approach to services and the hosted deployment model quickly becoming the norm, Dynamics 365 represents the future of ERP. Whether you currently use a mid-market ERP solution (like Microsoft Dynamics NAV) or an enterprise solution (like Dynamics AX 2012), we recommend you consider it as part of your upgrade path or roadmap for the future. No matter which solution you currently use—or if you’re shopping for your first ERP—Western Computer can help you design a solution that’s right for you and make the move to the cloud with confidence. Contact us today to get started. Posted in About Microsoft Dynamics 365 for Finance and Operations | Comments Off on Is Dynamics 365 Right for Your Business?